Priced below appraised value. Spectacular Sweeping Open Waterviews of Boca Ciega Bay. 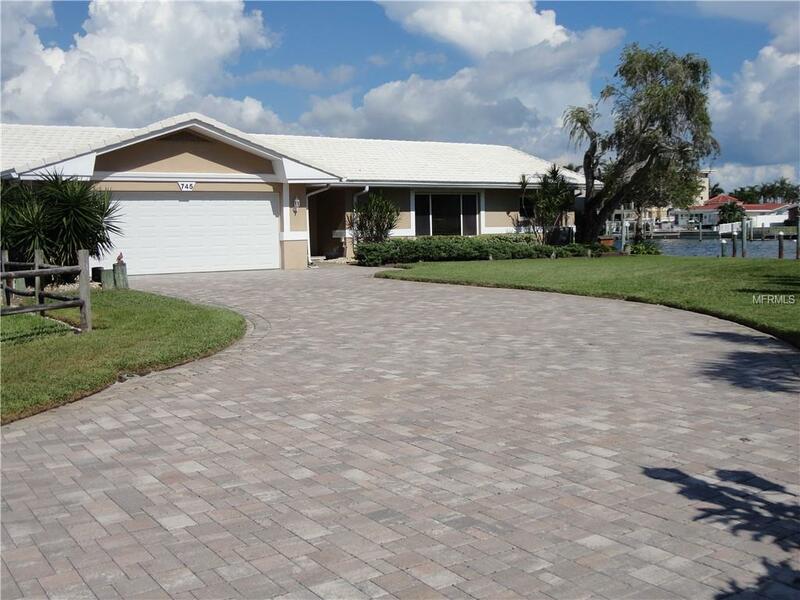 This home is located on Isle of Capri, a premier boating community and just 5 minutes to Johns Pass and the Gulf of Mexico by boat. Spacious 3 Bedrooms, 3 Bath, 2 Car Garage. Open floor plan. 2400 Ht. Sq. Ft. In ground solar heated pool which is screened enclosed and pavered. Inside utility. Master Suite faces the intracoastal and pool area, also has large master bath and his and hers walk-in closets. 2nd Bedroom features wood flooring and private bath. 3rd Bedroom is off the master and has served as an office. The kitchen is central to the open concept layout and offers fabulous intracoastal views. Hugh pool and Patio area. Pool features swim up table and sitting area to enjoy refreshments, perfect for outdoor entertaining. Concrete tile roof 2002, Seawall 2002, Windows 2014. Mature landscaping. Brick paved driveway. Fenced yard.